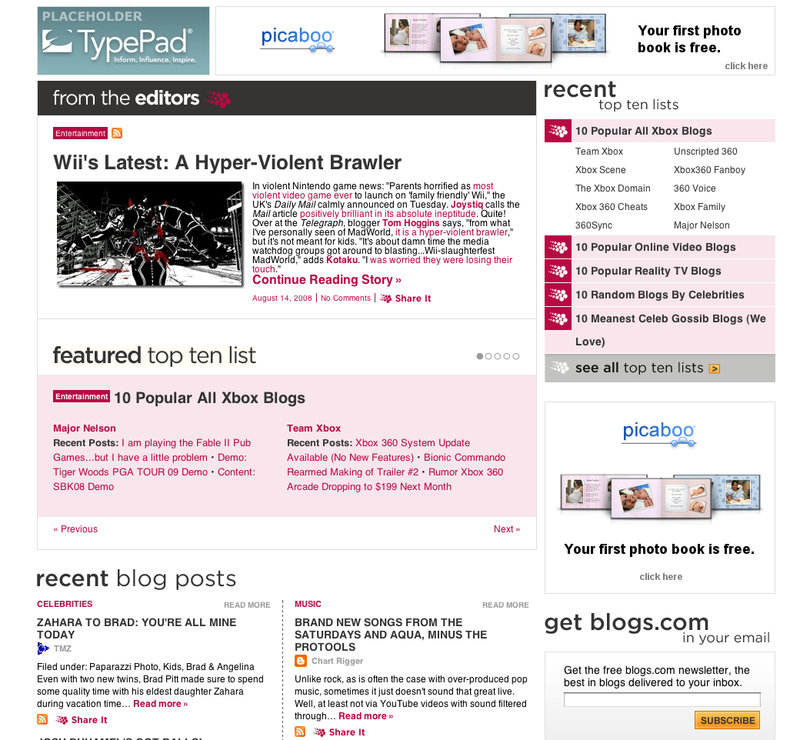 Six Apart is finally doing something with its Blogs.com domain. It is creating, well, yet another blog directory. 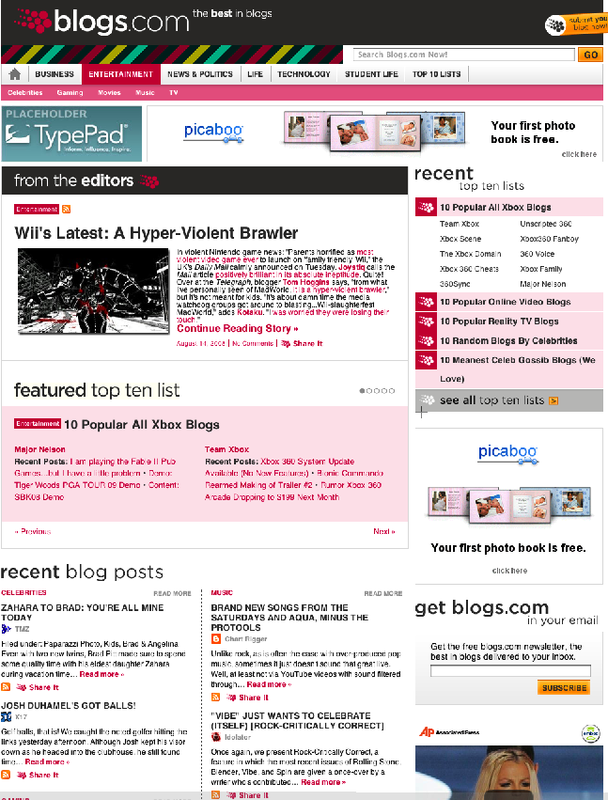 And I do mean that in the early-days-of-Yahoo sense: it will be edited by a small group of about five human editors, and will feature top-ten blog lists from the likes of Web celebs such as Marc Andreessen and Craig Newmark (Michael is still working on his). 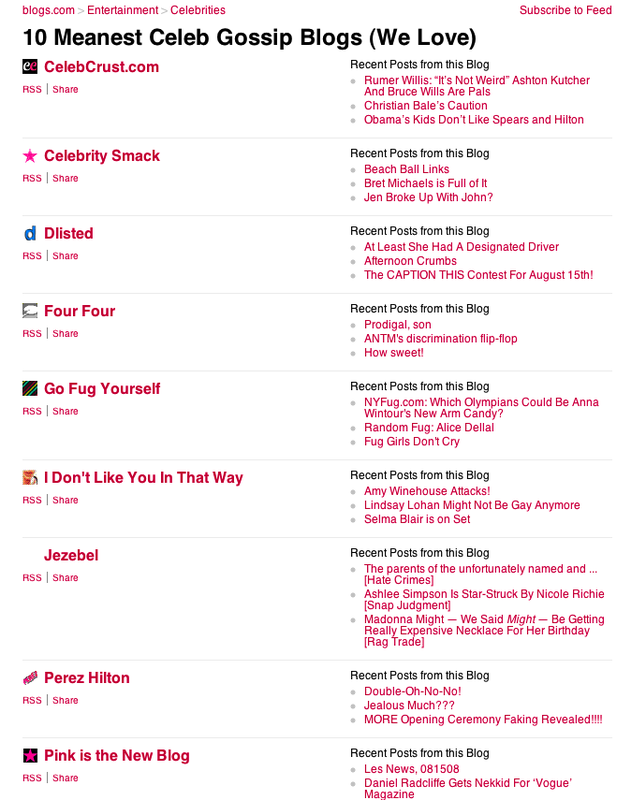 This is not a comprehensive blog directory like Technorati or even a meme tracker like Techmeme. 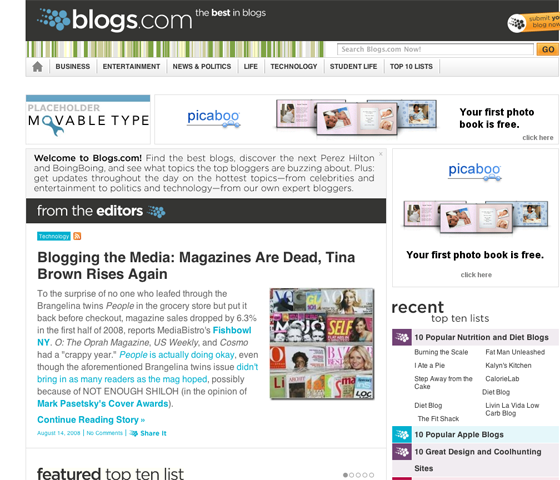 It will launch covering only 1,200 blogs. Six Apart CEO Chris Alden tells me that his goal is not to compete with other blog directories so much as to offer a service that will help blogs in general (because that helps Six Apart as a provider of blogging software). How good is it? We don’t know because we haven’t played with it yet. But judging from some screenshots that we did obtain, it looks like a fairly standard media hub. 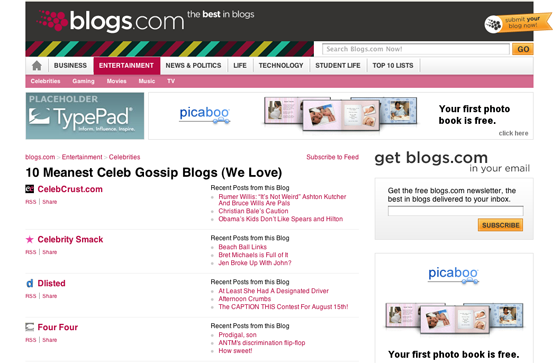 It breaks up the blogosphere into business, entertainment, news & politics, life, technology (shouldn’t that be first? ), student life (yawn), and top 10 lists. On its homepage, it will highlights posts from each of the categories, as well as one big write-up focussed on the hot discussion topic of the day.. Given that blogs.com generates a ton of natural traffic based on its URL alone, it should provide yet one more way to get a traffic boost for the blogs that are featured. (Just don’t expect a massive Yahoo Buzz-type boost any time soon).